Bearing in mind that at Creation all the grapes are harvested by hand, one can only imagine the hard work put in by the harvest team. “It is no secret that handpicking is a painstaking and let’s face it, often backbreaking activity but it is more than worth the trouble,“ explains Carolyn. The pickers know exactly what to look for in a bunch, ensuring that no overripe or damaged grapes or leaves land in the crates. This precludes the need for sorting tables and additional handling. Another good reason for hand-harvesting is the fact that grape skins are easily bruised. Clearing away the vine leaves, the picker handles each bunch with care, dropping it gently into the crate. 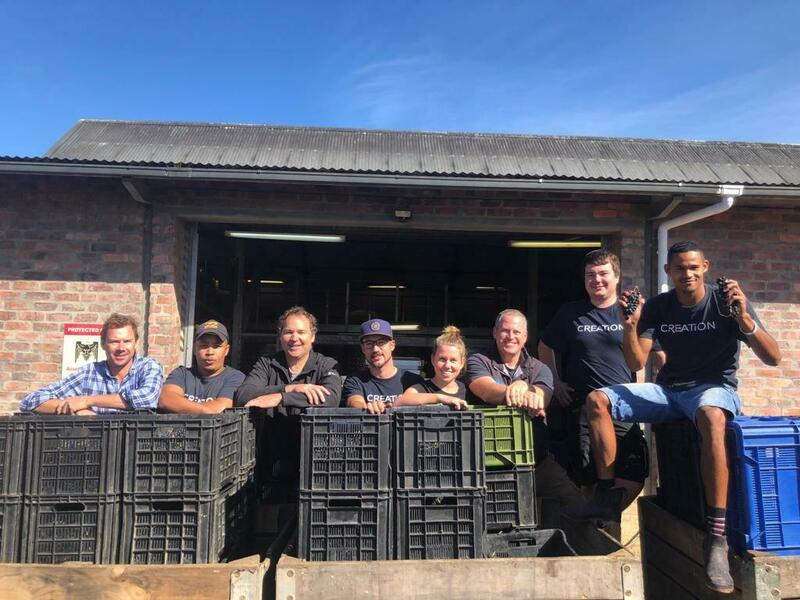 The harvest team moves into the vineyards before dawn, while the cool night air still envelopes the perfectly ripe fruit and since the cellar is situated only minutes away from the vineyards the grapes are delivered in prime condition. The grapes are well balanced with excellent fruit concentration and intensity of flavour.